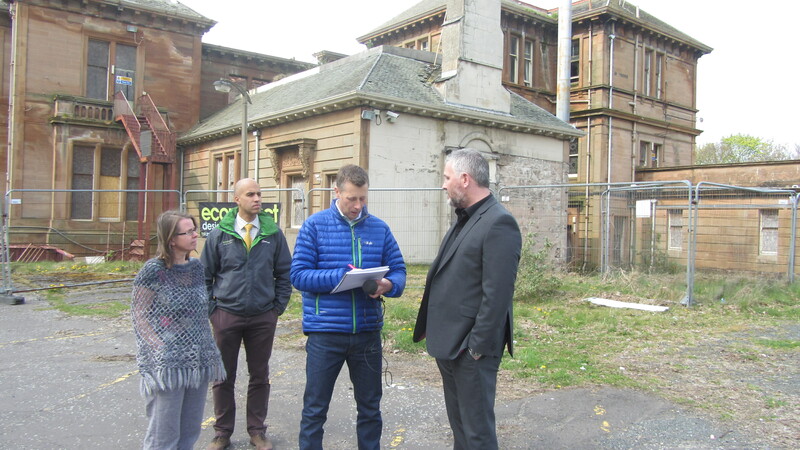 David Miller, BBC Scotland’s environment and transport correspondent, returned to his roots to cover a story on the future of Seafield House, the home Sir William Arrol built for himself in Ayr. After Arrol’s death in 1913 the house had several reincarnations, including 47 years as Seafield Sick Childrens’ Hospital. Having had his tonsils removed at the Hospital, David had a personal interest in the story of the building. Fallen into decay after years of neglect by it’s owners, NHS Ayrshire & Arran, the house was threatened with demolition. Realising the importance of the building both, historically and architecturally, campaigners stepped in to try to save the building. Friends of Seafield House was established in October 2012 and, after 2 years pressure, succeeded in getting the Health Board to put the house on the market as a development opportunity. It was sold to a local company, econstruct design & build, who plan to develop the site and convert the building into flats. 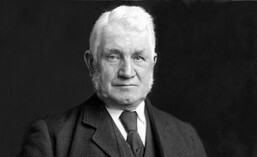 David Miller took up the story. Committee members of Friends of Seafield House (FoSH) together with Robin Ghosh, Director of econstruct, gathered in the grounds of Seafield to be interviewed for radio and TV. Watch the coverage from the BBC Reporting Scotland broadcast of 6th May 2015. This entry was posted in Uncategorized and tagged ayr, BBC Scotland, david miller, econstruct design and build, friends of Seafield House, NHS Ayrshire & Arran, reporting scotland, Seafield Hospital, seafield house. Bookmark the permalink.